We arrived around 16:00 (everything here is 24 hour time. I love it.) The view from outside our hotel is – not Chicago public housing projects – but a city still housed in war-era bloc concrete buildings. We are in a nice hotel, about three kilometers from the main square. 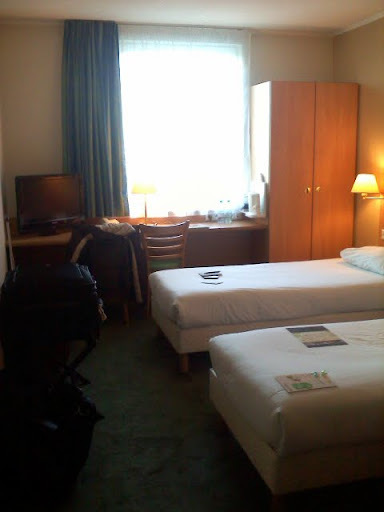 Our room is quite small, but clean and comfortable. Tomorrow, we meet up with a guide from a local Jewish Historical Society. 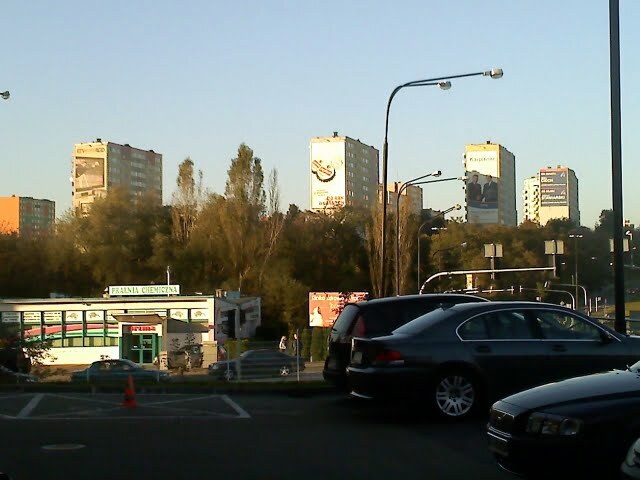 We will go to Opole Lubelskie, which is close-by and where my great-grandfather was from. Then we will go visit two death camps (Sobibor and Belzec). We will come back to Lublin tomorrow eve (Tuesday) and then explore this area on Wednesday, returning to Warsaw on Thursday. My mom was here-ish (Lithuania) a week before I arrived, so she has a rather large and heavy travel bag. One of the things about these towns is that they tend to lack certain modern conveniences. Like elevators. Lifts. Electric people movers. She is mom, so of course, I do what I can to make her trip as comfortable as possible. My back and shoulders do not agree. We got off the train today in Lublin and had to go down a longish flight of stairs, walk under the tracks, then go up another set of stairs to the station-side. I got her bag down the stairs, but could not muster the strength to get it up the next flight. (mind you, I’d done similar earlier in the day while still in Warsaw. My back was already a bit worn). Luckily, we found a small lift that took us up. I hope that luck continues.